Will a professional cover letter that I use to apply for jobs in other fields work for my Emirates cabin crew application? Thanks for your comment – the short answer to your question is no. 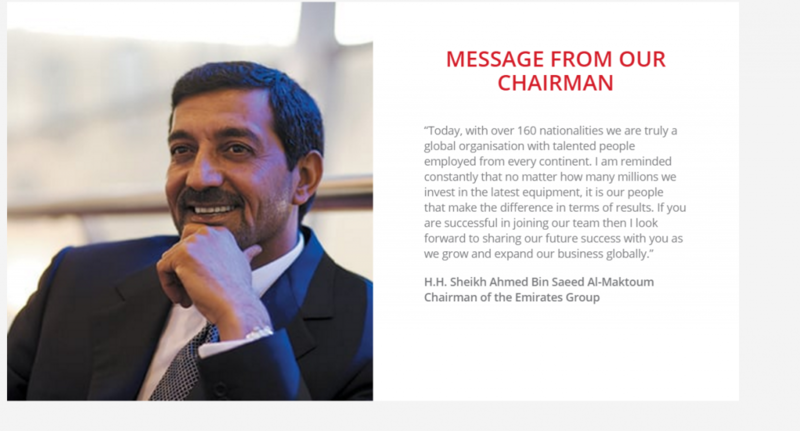 Your covering letter to Emirates should include a small section (even a couple of sentences) that firstly convey that you are passionate about wanting to work for Emirates and secondly demonstrate that you are not just sending out a standard covering letter. In short, the covering letter is another chance for you to stand out from other applicants and you should make sure you take that opportunity. Hello thank you u always give us best information and when will be the open day..
Hello , kindly post the recent open days Thank you . If you mean where do you send your video interview, you will need to wait until Emirates open their site for recruitment. You will then be able to access their online application. If you are successful at this stage, you will be sent a link to their video interview. You will not be required to upload your own video. They are not currently recruiting unless you are a United Arab Emirates National and nobody knows for sure when recruitment will open again. For a number of complex reasons the last year has been quite difficult financially for most of the Middles Eastern airlines and they have not been making the same profits as they anticipated – this has obviously affected their recruitment plans. “The Emirates Cabin Crew recruitment team conducts regular assessments and interviews in numerous countries worldwide. In order to be shortlisted to attend one of these events you will need to first complete an online application and attach all of your relevant education certificates and photographs in business attire. This application now also includes a video interview where you will need to ensure that you are appropriately prepared and professionally presented, just as you would for any interview process. The video interview will involve answering a few questions about yourself, in one sitting but you will have the opportunity to practice first. My advice for you would be to either use the time you have to prepare for the above assessment or think about applying for another airline. Flying for somebody else (even for a year) would give you a huge advantage during Emirates recruitment. Thanks alot for your lovely feedbacks. I would love to know if they recruit cabin crew from 30 years and above I have worked in Abu dhabi duty free as sales associate for 2 years and also in some hotels in UAE. I have been home for more than one year now since I had a baby in 2016 and stoped working. with my ideal life now and also unemployed for almost 1 and a half year now do i still have a chance ??? 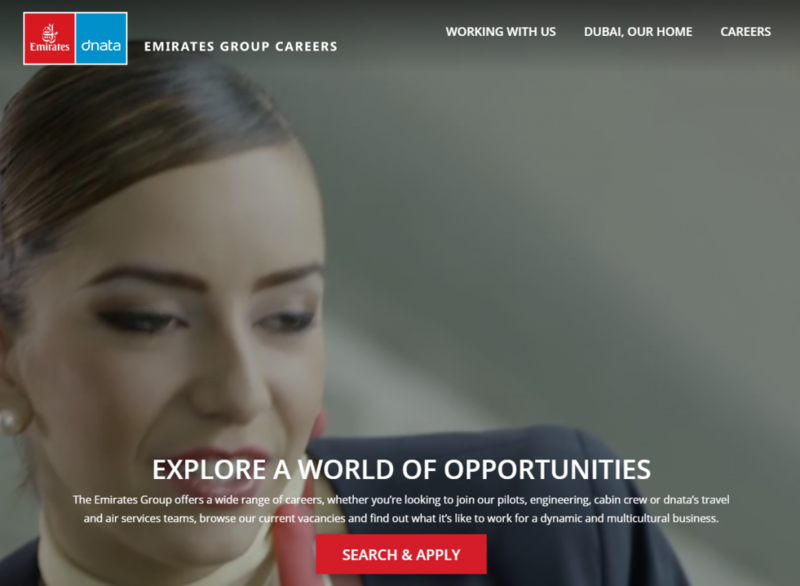 Emirates have no upper age for cabin crew listed and there are plenty of stories around Facebook cabin crew groups where people talk about being recruited by Emirates well into their thirties. It’s now going to be a matter of learning as much as you can about their recruitment process and being ready to go when they open recruitment again. Your currently airline experience will be to your advantage when Emirates do start recruiting again. 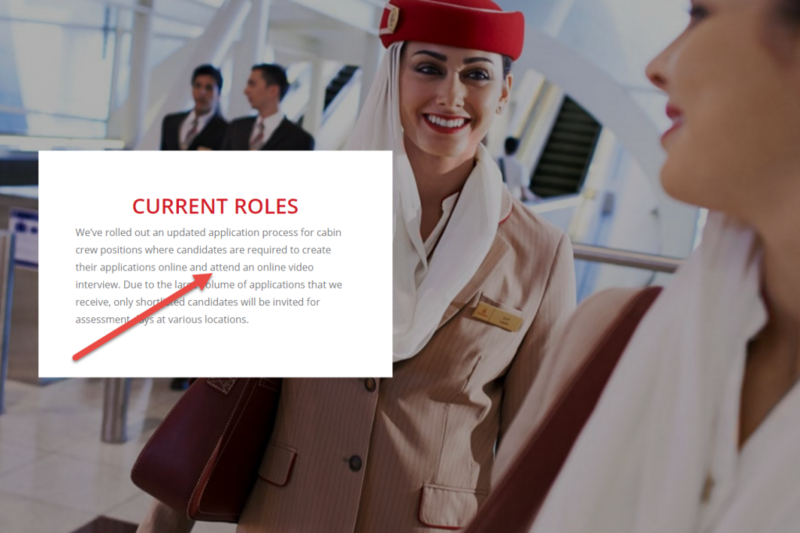 I could like to work at emirates airline as her cabin crew I have learned of this vacancy on official emirates website. Which vacancy are you talking about Nicholas? I appreciate so much your answers to us. Is it true if an ex Etihad cabin crew applies for Emirates will not be accepted? If so what is the time one needs to wait untill applying? I’ve heard many rumours about Etihad Sheikha but have never heard that before. It might be worthwhile going to our Facebook group and posting that question there. Thank you so much for all the information you’ve provided for us. However, can you suggest us some videos to look at for us to practice for the online interview and as well as for other interview stages. Just to give us a quick overview of what to prepare for. I’m currently working on a major project that will include help for the video interview and all of the other stages of the interview. This will be ready in October so if you don’t want to miss out make sure you’ve joined my free Facebook group because I’ll be posting the details there. Hi. Can I upload my cv onto Emirates Group Careers before the end of 2017 or is there a particular time for that? 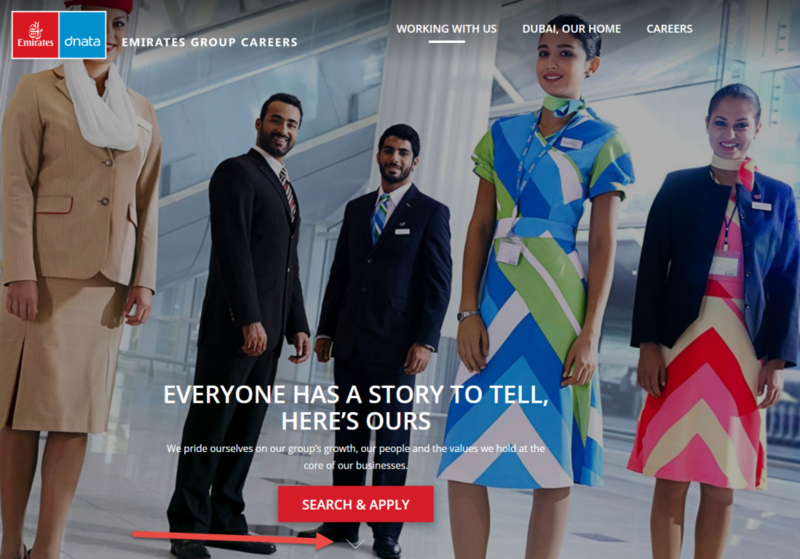 Emirates are not currently recruiting cabin crew unless you are a United Arab Emirates National so don’t try to upload your CV at the moment. Now that Emirates is not currently recruiting, if I get a training for cabin crew how eligible are my to get recruited by Emirates? The honest answer is that even when Emirates start recruiting again you will never be eligible. The word eligible suggests that you will be automatically recruited and this will never be true for anyone – you need to earn the right to get the job. 1. Wait until they start recruiting again and hope your application stands out against the 10000’s of others that Emirates receive every month. 2. 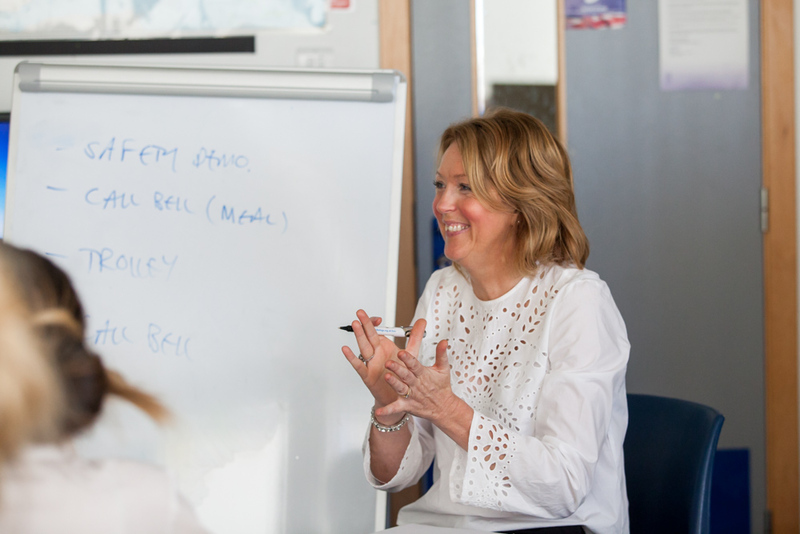 Do everything you can to improve your CV, learn how to do great videos interviews, develop a social media profile that will impress the airline, practice airline English and numeracy tests and learn strategies to dazzle the recruiters during the group and 2 to 1 interviews. 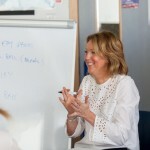 The training that I offer has been designed to give you the best possible chance of landing that dream job. 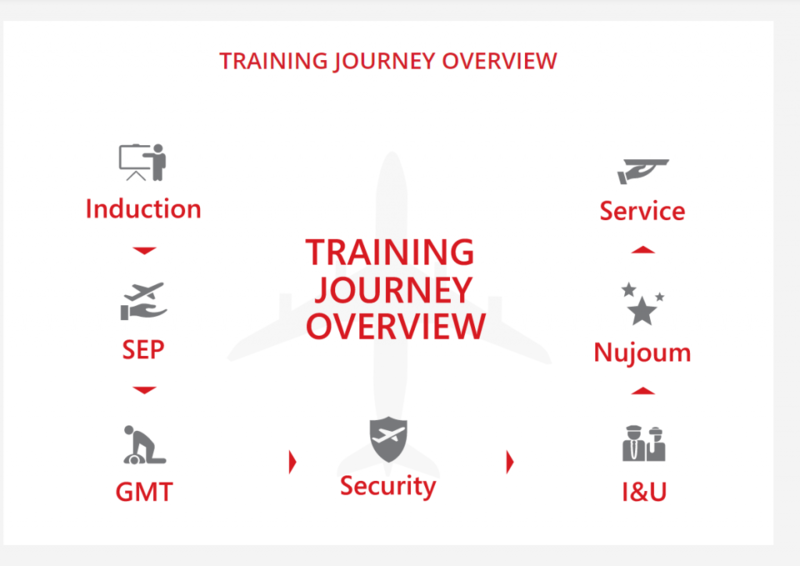 So if you really want to work for Emirates you’ll need to believe in yourself and understand that you will have to do a lot of preparation work before recruitment starts again. There is still no official word on when Emirates will start recruiting. I know people who currently work for them but the reality is that unless you are at a very senior level in the company you won’t know when they will start again. I’m not sure exactly why you have been rejected over the last 8 years however I have to say to you that there are some serious problems with the English in your post. 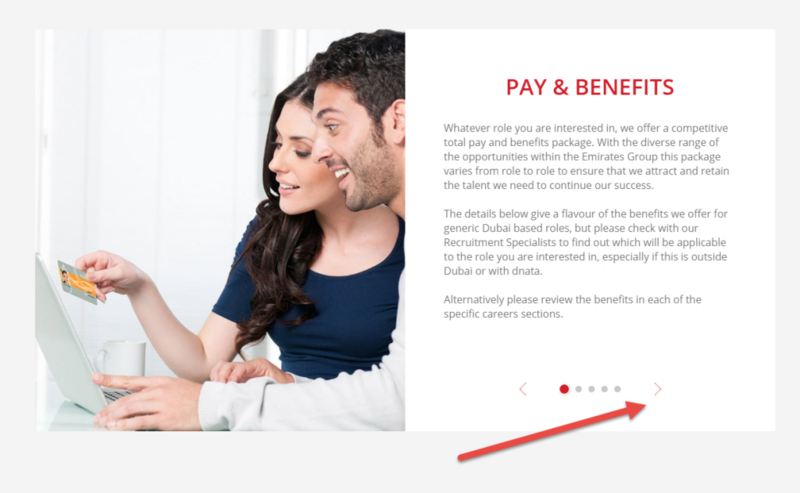 If you want a job with Emirates you will need to improve your written English. Why not try one of these totally free courses that are available online from some of the world’s leading universities. I’m waiting for your answer thx and have a nice day ? thank you for answering all our questions. This time I’d appreciate your opinion about my story. I resigned cabin crew position 3 years ago, after year and a half in a company. Now I’d like to rejoin, being sure this job would be my life career path. Do you think it could be an option? I know I could still try to apply for other companies, but not before I’m sure Emirates wouldn’t accept me. Can I just check – was it Emirates you resigned from 3 years ago? Yes, I worked for Emirates. I heard that my cc manager no longer works on that position, so I cannot even try to email her regarding this issue.. It will be possible to apply for the job (especially with your great language skills). The problem is that Emirates are not currently recruiting and when they do start they will no longer use open days – it’s going to be a video interview. Hi ,can any help me to know about applying for cabin crew where should can apply.? Thank you so much for all your advise. I have been doing a lot of research on Emirates Cabin Crew application and few days ago I came across a message that has been bugging me. I was wondering if you could help. 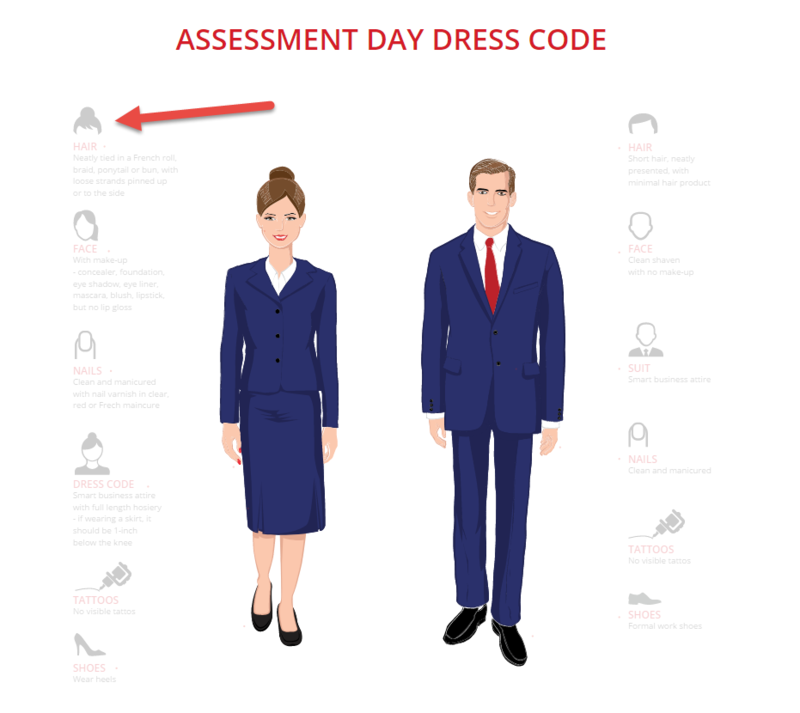 – Is it true that the airlines like to check you out online before they invite you for the Assessment day? – What if the candidate is not active on social media? – I like my privacy, so I have deactivated all my social accounts. Will this decrease my chances of getting an invite? This article here gives you some easy to follow tips for building a great profile on LinkedIn. By doing it this way you would benefit from the advantages of a professional social media profile without giving away too much privacy. Good evening. My name is Zaira El Kostali, I’m 22 years old and I would like to join Fly Emirates. There’s just one doubt I have, because I don’t have, experience. I can fluently speak 3 lenguages, i have no tattoos or piercings and I’m perfect healthy. How can I do? 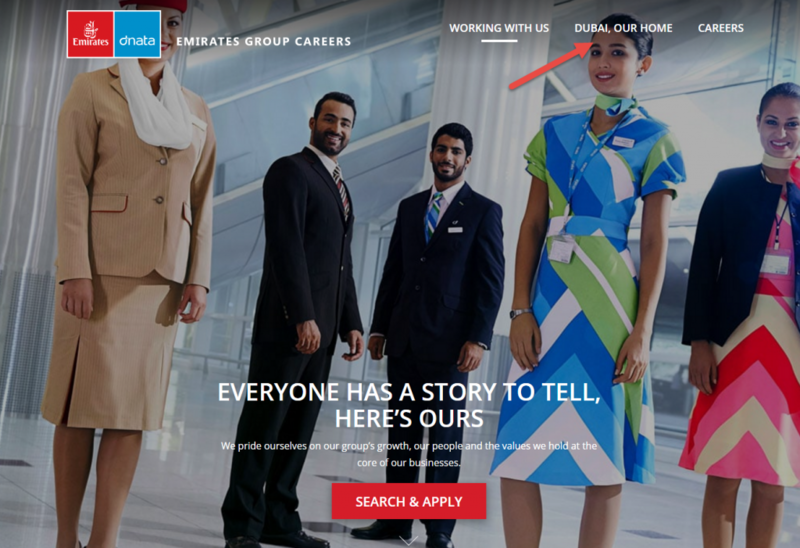 Do emirates hire terminated crew from different airlines? Will they be hiring any time soon in India? Is it true that an ex Qatar cabin crew has to wait for one year before applying for Emirates? Emirates are not currently recruiting and when they start again they may change their recruitment rules so the honest answer at this point is that I don’t know the answer to your question. I just finished college in the year 2016 persued diploma in cabin crew course. I can say i really have no experience but would like to work with Emirates. Will that be possible. Kindly help. i was an Emirates crew (for a year and a half and resigned), but I’ve realised that I really want the job back :). I managed to contact rejoiner team few days ago, so they answered me that recruiting is very limited right now, and that they will contact me once this changes. In your opinion, is this just a polite “no”? :) I know that they currently are not taking crew but as for rejoiners I thought maybe it would be different. I had a clean records, without warnings or issues of any kind. I need your opinion on this, please. Thank You. I don’t think it is a polite no. My sources inside the company have told me that other than UAE nationals recruitment for crew is simply not taking place. If you look at what has happened with Emirates over the last couple of years then you’ll see that it’s been widely reported that they have been involved with the cost-cutting (go to skift.com and search Emirates to see really well researched articles about the company.) The good news is that they do seem to be over the worst of things (for example the laptop ban to the US has now been lifted) and that means that hopefully recruitment will begin again in 2018. Hi Faisal- please be very, very careful of anyone who mentions fees at all. There are many unscrupulous people out there who are looking to make money from people like yourself who want to be Emirates cabin crew. Instead, find someone you can trust to act as your mentor and who will help you with the process and avoid any “agencies” offering their help. 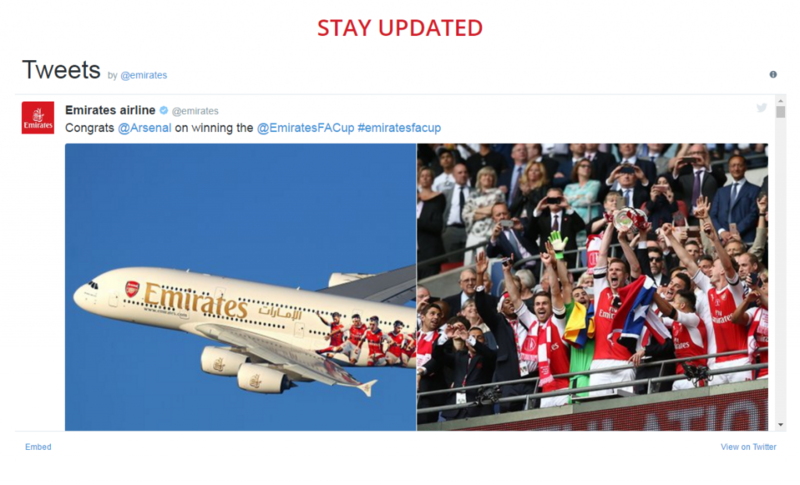 I heard that Emirates may start recruiting again in the coming months. Is this rumor true? Also, is having lived in multiple countries an added bonus? There are LOADS of Emirates rumours flying around, so thought I’d share what I’d heard! First up, things DEFINITELY seem to be on the move as there have been a number of changes made to the recruitment site over the last week or so. Anyway, I was speaking to a couple of contacts I have in Emirates and they both told me the same thing. Good news is that the recruitment freeze is over! That doesn’t mean that recruitment will start again straightaway! According to both my contacts, there are hundreds of individuals who were given the famous “golden call” before Emirates called a halt on their recruitment. So, these people are at the front of the queue! What is happening is that all of these people are being invited to re-apply for a cabin crew position with Emirates. The link to allow them to do this has been widely circulated on the web. In fact, I’ve been sent it over a dozen times! However, according to one of my contacts, there is no point in using this link to apply (although it appears to be a live link!) as it applications will be cross-referenced to make sure you received a “golden call” and if not, your application will be rejected (and you’ll have to wait 6 months before you can re-apply). I was also told that the new recruitment system uses facial recognition technology so they will be able to tell if an applicant has applied before by using their application photo. Don’t know how true this is though! So, anyway, the good news is that Emirates is planning on starting training for new cabin crew in April 2018 (and this will be for those who were given a golden call, have reapplied and been successful). Depending on the numbers of new cabin crew they recruit this way, my Emirates contact said it’s very likely that cabin crew recruitment will be rolled out to everyone in the springtime. So, hopefully you’ve still got a bit of time on your hands to prepare ourselves for the big re-opening! PS Of course living in different countries will be an advantage in your application. Emirates need crew that have the ability to live and work outside their own country so if you have already done that I’m sure it willimpress them. Emirates have not specified when the portal will close however it is currently OPEN and, as far as I understand, receiving over 1000 applications per day. So if I were you I’d apply as soon as possible – if you need some extra help with your application you might want to consider joining New2Crew Academy here. Do you know if they will alert or post a deadline for the cabin crew recruitment? Or will they just get rid of the advertisement? Nobody outside the company knows for sure. I personally think that because there was such a lengthy recruitment freeze and the fact that they have ordered a number of new aircraft will mean that recruitment will continue throughout the year. That however is just my personal opinion – I don’t know for sure. Please am from nigeria, and i wish to apply for an airline and airport operations job at emirate, i have got a bsc certificate in tourism. And also had a diploma in tourism. Please do u think am qualified for this job. Hai there, I’ve been to emirates open day held in Dubai on 30-03-2018 but so far i’ve not received any news/email for assessment invitation. Will it means that my application is rejected? 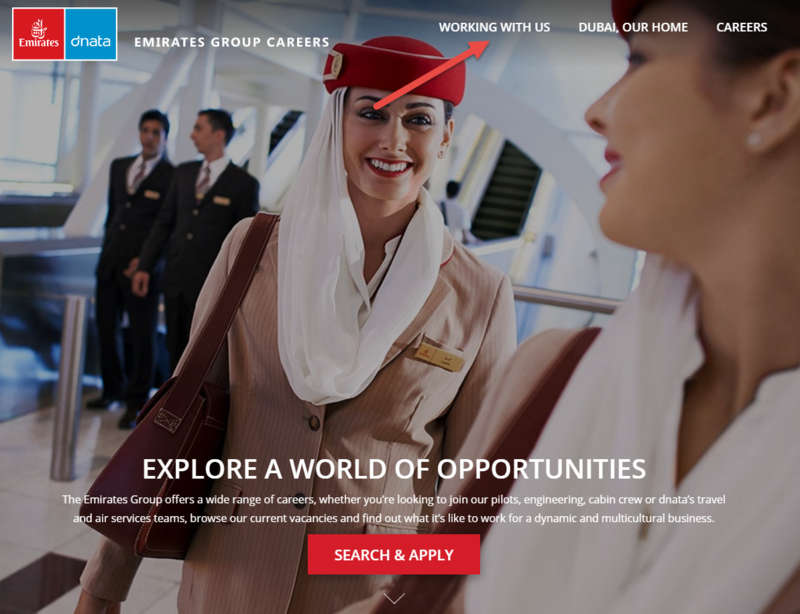 As per all of my online search and in person meetings with current members, Emirates call the candidates on the same day or very next day if ever he/she is selected for assessment after resume submission on open day. If ever someone else has also attended open day in dubai. please share your status. Yes it’s bit disappointing because so far no response. But today i receive an email again stating that ” there will be an open day” in April, 2018. I am confused because my application status is still under review. I am not part of FB group but ‘i’ve requested today to join. I am very happy that Emirates Airways is running open days again, and it something I have been waiting and getting ready for from such a long time. However, there was an open day in Morocco recently but due to some issues I could not attend regretly, I want to ask how often is Emirates airways will be running open day on each country? , some people say every three months and others say every six months. Although I am sure there will never be a crucial answer as long as it’s not announced on their website, but in your estimation, how often do you think? Please do you have an idea when ghana will hold their open day? I have done my online application since April, I’m still waiting patiently for an email. By the way thanks alot for all the answers keep it up. Malheureusement, les Émirats ne recrutent pas en Côte d’Ivoire pour le moment. What kind of photo do you have to take to an open day, it states on the website to only bring 1 but doesn’t say anything about what type of photo they would like? Also, at the open day what is the dress code?